Photo by Alan Stark, used under a Creative Commons license. With the Trump Administration clear on its intentions to repeal and replace the Obama Administration's Clean Power Plan (CPP), the Environmental Protection Agency (EPA) on August 21 finally released its "Affordable Clean Energy" proposal. Given the name, one might expect the so-called ACE rule to lean on current market trends toward low- and non-emitting advanced energy technologies, such as natural gas, solar, wind, and energy efficiency, on the basis of cost. That’s what the CPP attempted to do, doubling down on these trends and allowing states to design compliance plans using market-based trading to find the lowest-cost paths to compliance. ACE, in contrast, takes a hard turn away from lower-cost advanced energy options and market-based trading in favor of old-fashioned command-and-control regulation that would only allow costly investments at existing coal-fired power plants—which is bad news for consumers and the advanced energy industry alike. Unlike the CPP, which recognized that the electric grid is an interconnected system and allowed emission reductions to come from cost-effective actions taken throughout that system, EPA’s new proposed rule is focused on reducing coal plant emissions solely through actions taken within the physical boundaries of the individual units. To that end, ACE specifically identifies seven measures that can be taken at coal-fired power plants to improve their “heat rate,” or emission level per unit of energy output, as the sole potential components of the “Best System of Emission Reduction” (BSER) to reduce greenhouse gas emissions from existing power plants. States then have the task of assigning these measures (collectively “heat rate improvements,” or HRI) on a unit-by-unit basis, assessing technical feasibility, cost, remaining useful life of the unit, and other factors to develop unit-specific emission standards. Based on these same criteria, states can also determine whether certain units should be exempted from requirements altogether. Further, in support of the HRI approach, the ACE rule would make important changes to the application of New Source Review (NSR) to existing plants, a move that could increase emissions from these plants in the short term while also extending their operating lives. NSR requires plants that undergo a “major modification” to obtain a permit and undertake pollution control measures. Currently, modifications are considered “major” if they would increase a power plant’s emissions on an annual basis. Because EPA claims that many HRI investments undertaken for ACE compliance would trigger NSR, EPA proposes to narrow the definition of “major modification” to projects that increase a power plant’s emissions on both an annual and an hourly basis—allowing plants to increase their capacity (and potentially overall emissions) without triggering NSR requirements. The CPP, in contrast, was based on recognizing the reality of the electricity system as an interconnected web of supply and demand; it also acknowledged the wide range of currently available and cost-competitive technologies and services that play a role in keeping the lights on. 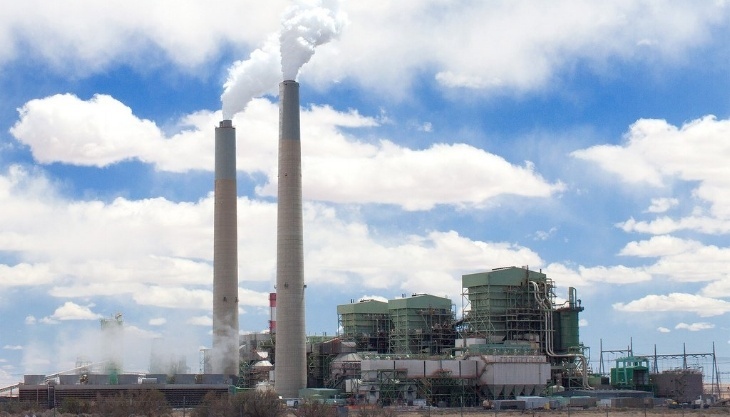 The CPP would have applied to both coal-fired and gas-fired power plants and set nationally consistent emission limits for the two types of units. These limits were established through a BSER made up of three building blocks: (1) HRI at affected coal units, (2) generation switching to lower-emitting natural gas combined-cycle units (NGCC), and (3) generation switching to lower-emitting renewable energy resources. The CPP’s interpretation of BSER as applying to the electricity sector as an interconnected system and its reliance on the potential for shifting to lower-emitting generation sources to set emission limits mark key differences between the CPP and the ACE proposal. When it comes to compliance, the ACE proposal gives states considerably less flexibility than the CPP and it prohibits the use of market-based approaches. Under the CPP, states could rely on market-based compliance approaches, including either intrastate or interstate trading of emission credits. In addition, emission reductions could come from a wide range of measures, including HRI, generation switching to lower-emitting natural gas, investment in new non-emitting renewable energy or new nuclear energy, or investment in energy-saving energy efficiency. The facility-by-facility, command-and-control approach of the ACE proposal is a significant departure not only from the CPP, but also from other EPA rules dating back decades that allow market-based trading between affected units and across state lines. EPA says that it is considering allowing some form of emission averaging or trading, but the requirement that all emission reductions come from HRI measures will severely restrict the flexibility and cost-effectiveness of any trading that could get introduced. The result? By limiting both BSER and compliance to measures taken at affected units, EPA is focusing on costly upgrades at existing power plants rather than allowing states to make investments in the cost-competitive technologies that are making our electricity system more affordable, reliable, and resilient. Think of it as a diet that requires you to switch from Oreos to mini Oreos, but allows you to eat all the minis you like, and doesn't allow you to make any other diet or lifestyle changes to meet your goals. What does ACE mean for advanced energy? The good news is, market trends favoring advanced energy deployment remain strong, with or without the CPP—or ACE, for that matter. By EPA’s own analysis, most of the emission reductions under ACE would come from the business-as-usual trajectory, with the rule itself lowering carbon dioxide emissions by only 1% (or less) by 2035 compared to doing nothing to reduce power plant emissions. Indeed, multiple utilities across numerous states — including Indiana, Michigan, and Colorado — have indicated that their path to lower-carbon electric power remains unchanged by EPA’s new proposal. Higher Costs: ACE is likely to increase ratepayer costs because, as explained above, it limits compliance to investment in expensive on-site control measures rather than allowing market-based compliance utilizing multiple technologies to provide the most cost-effective solutions. Market Disruption: ACE fights against the very market trends responsible for the rapid growth trajectory for advanced energy deployment. Currently, low-priced natural gas and falling technology costs for wind, solar, and other advanced energy options mean that these resources are the ones stepping in to fill gaps left by retirement of aging power plants—many already well past their rated lifetime—that can no longer compete on cost. This market-based turnover of assets is a key source of growth for advanced energy, not to mention an important driver of consumer cost savings and increased grid reliability and resilience. By making these resources unavailable for compliance and focusing instead on costly upgrades at uneconomic coal plants—which would be made easier to do by the proposed changes to the NSR rules—EPA is not only rowing against the tide but may have the effect of actually slowing it. Specifically, the ACE rule has the potential to force costly investments in some of the nation's oldest coal units while closing off opportunities for growth of natural gas, renewable energy, and other advanced energy resources. Businesses and homeowners will pay for those investments—and will be stuck with aging, uncompetitive, high-emitting coal plants rather than the new, efficient, cleaner generation sources that the market can deliver. Lack of Competition: ACE relies on a command-and-control approach, allowing only HRI options for compliance, and fails to harness the power of competition to lower costs. Through its more flexible, market-based approach encompassing dozens if not hundreds of emission reduction tools and technologies, the CPP provided an incentive for continued investment in advanced energy, as well as further innovation in lower-carbon energy technologies. Replacement of the CPP with the ACE therefore represents a loss of incentive for continued innovation and cost reduction. Investor Uncertainty: The ACE rule provides no backstop in the event of a shift in the market forces currently driving advanced energy deployment and emission reductions. Should gas prices rise or other policy changes make coal-fired units more competitive or advanced energy sources less competitive, the ACE rule would do nothing to keep the market on a steady course. By providing a clear role for lower-emitting natural gas and zero-emitting renewable energy and energy efficiency, the CPP would have provided market certainty for these technologies. This is true despite the fact that market forces appear to be catching up with the CPP. For independent power producers, energy efficiency providers, utilities, state regulators, and other electricity market participants tasked with making decades-long investments and planning decisions, market certainty in a volatile industry is important—even if the backstop only serves to reinforce existing trends. The ACE rule is currently a proposal, meaning that there is a period of public comment before EPA publishes a final rule. Stakeholders have until October 31 to file comments. Should it be finalized, ACE will likely be challenged on multiple grounds, including EPA’s re-interpretation of BSER as limited to HRI at affected coal units, EPA’s revised cost-benefit analysis, and EPA’s proposed NSR changes. Here at AEE, we’ll be pointing out the clear market trend toward advanced energy that EPA acknowledged but chose to ignore when considering what the best system of emission reduction is, and questioning the logic and legal sufficiency of a rule that purports to give states more flexibility and control while actually boxing them in to a short list of costly measures on a command-and-control basis.